Charlotte and Tulsa are the most recent in a long list of cities that have mourned and protested deadly police shootings against black Americans. Gwen Ifill speaks with author and activist Andre Perry, Rashad Robinson, executive director of Color of Change, and Vanessa De Luca, editor-in-chief of Essence Magazine about what these acts of violence suggest about life in the black community today. GWEN IFILL: Charlotte and Tulsa are the latest communities grappling with an ongoing, enormous debate over police shootings, protest violence and social justice. It’s become a long list, New York, Chicago, Minneapolis, Oakland, Baton Rouge, Ferguson. Each incident sparks a renewed and wrenching conversation within communities of color. We explore some of that now with Rashad Robinson, executive director of the racial justice organization Color of Change, Vanessa De Luca, editor in chief of “Essence,”a magazine for and about black women, and Andre Perry, an author, activist and educator. This has been a week. We reported about it last night on the “NewsHour,” where we were talking about this brand-new museum that is opening in the Mall, lots of rejoicing, lots of excitement about that, upbeat, and, at the same time, the same conversations turn to what’s happening in Charlotte, what’s happening in Tulsa. Rashad Robinson, there is a dichotomy at work here. What do you see? RASHAD ROBINSON, Executive Director, Color of Change: I think there absolutely is a dichotomy. And it speaks to this idea of that not mistaking presence for power, that just because we are seeing progress, progress for black folks in this country has never been on a linear sort of line. We have seen, you know, steps ahead and then steps backwards. And while we see huge steps forward — I got to see a sneak peek of that museum last night, and it’s beautiful. It speaks to sort of all our hopes and aspirations and also shows all of the struggles — while, at the same time, the presence of a black president, the presence of black billionaires doesn’t necessarily change the rules, the rules of policy, the rules of culture, the written and unwritten rules that govern us. GWEN IFILL: Well, let me just move on, because we have a lot of people to — lot of things to talk about here. Vanessa De Luca, are we moving forward? Are we stalled? Are we moving backward? VANESSA DE LUCA, Editor in Chief, Essence: I mean, I think we’re at a tipping point, right? There is so much to be celebrated, certainly with the museum, but if you look at our day to day, there is so much more that needs to be done in terms of accountability, in terms of seeking justice, that we can’t ignore. So there needs to be — we’re parallel-pathing our way through this time in our history. And we cannot afford to erase anything. Certainly, the museum is about not erasing our history, and certainly we want to make sure, in all of our protests and all of our questions that are raised about what’s going on in our community right now, that that history is also not erased. GWEN IFILL: Andre Perry, eight years of a black president, did it change anything or did it set us back in some ways? ANDRE PERRY, Author/Activist: No, it certainly, in the sense that when he was elected, the day after, the country, at least many people of it, felt that they had to take the country back, it was a marker in which we heard to — that people felt they had to regain a foothold, that they lost their America. But we clearly understand that having a black president doesn’t equate to progress for black people. I just want to throw out just a few statistics. The U.S. is the only developed country in which maternal mortality is on the rise. Three to four times the rate of black women die at the rate of white women. Funding for schools has actually widened between rich and poor districts in at least half of the states in the country. In my state and home city of New Orleans, one in seven black people are on prison and parole. So I would never quibble with anyone if someone said desegregation did me no favors. GWEN IFILL: Well, except that, when you listen to Donald Trump, he’s saying the black community is in its worst position ever, ever, ever, Rashad Robinson. RASHAD ROBINSON: Well, we can have a conversation about the challenges without including sort of Donald Trump, who is not really talking to black folks at all, but talking to white folks in sort of this way of trying to speak down to and speak at black Americans. There is a deep challenge. But I come from a family where I have a father in his Marine uniform who was turned away from using bathrooms in the South while he was stationed heading off to Vietnam, a grandfather who was a sharecropper and couldn’t read or write. So there are deep ways in which this country experienced progress, but, once again, it speaks to ways in which that we have to constantly evaluate the rules, the rules that govern all of our lives, and constantly challenge systems that hold people back. And when black people win, when black people succeed in this country, it’s oftentimes been a symbol of everyone succeeding. And so, as there’s been challenges, black folks have oftentimes been the canary in the mine. So what we’re seeing in the streets, this struggles, the issues around sort of generational poverty, they’re not just impacting black folks, but there is this idea that we oftentimes say is that, when America gets the cold, black people oftentimes get the flu. GWEN IFILL: Vanessa De Luca, on the cover of your magazine this month, there is a striking photograph of Barack and Michelle Obama which looks kind of like a farewell from the black community to the first black president and first lady. But I wonder if — do your readers respond to you with hope or kind of despair? VANESSA DE LUCA: Well, certainly, there is this kind of longing and wanting for the Obama administration and the Obama era to last longer, without a doubt. But there is hope that, in the next — whoever that next administration is, that they will be cognizant of what is important to us, that they will try to address some of the issues. And we will hear more about that at the presidential debate on Monday. Really, what do they stand for and what don’t they not stand for in terms of what resonates with our black community? And that’s what I think people are kind of hopeful for. We just want to hear a word, and a word that makes sense for everything that’s going on around us that speaks to how we’re going to move forward. GWEN IFILL: Andre Perry, what’s a leader’s responsibility in this, whether it’s a president or a county commissioner like who we talked to earlier, Trevor Fuller, or — and why should it matter at all to the broader community? ANDRE PERRY: Well, it’s not too much to demand that we’re not shot dead in the street. It’s not too much for us to demand that we get clean water in Michigan. Some of the things that we are asking for are basic human rights. And so when I look out at the presidential landscape, it’s not our job just to anoint Hillary or Trump, just because one is a Democrat or Republican. We really have to charge them with having an explicit agenda for black people. And so it’s not about hope for me. It’s about who’s going to deliver the political goods that we have yet to see thus far, and certainly since the Obama administration and beyond. 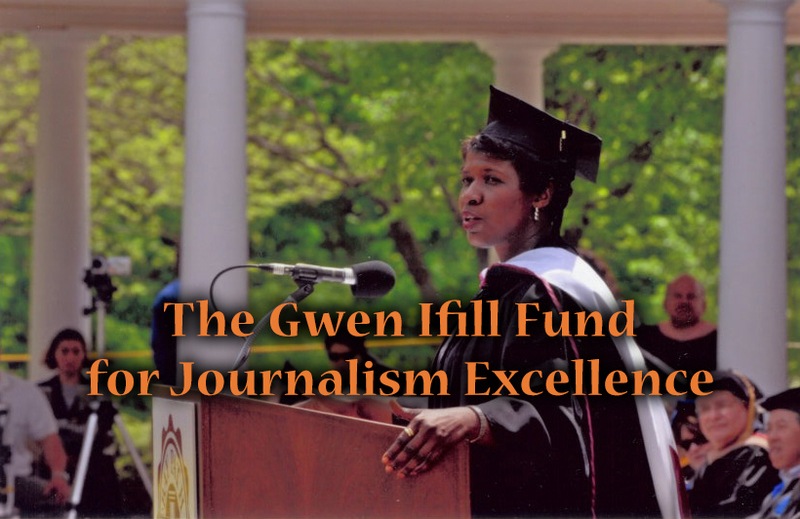 GWEN IFILL: Well, let me ask you all to take a huge step backward and talk about perception. We saw in the helicopter footage of what happened in Tulsa this week one of the police officers very far off the ground look at the man, Terence Crutcher, who was later killed and call him a bad dude. Clearly, there were some preconceptions, Rashad Robinson, some idea, even from a distance, that this person must be a criminal. Are perceptions as much a part of the problem here as reality? RASHAD ROBINSON: It absolutely is. It’s absolutely about the culture, the sort of daily hostile environment. And it’s not just simply about getting a job, right, or being treated fairly in a hospital, but it’s about being able to rent a room. And I also want to put on the table that it just wasn’t what the helicopter — what they said in the helicopter about him being a bad guy, but it was after he was shot and laying on the ground, and no one rushed to give him medical attention. It speaks to this hostile world that black people have to live in, the lack of humanity. So, first of all, the lack of benefit of a doubt of who he was, and then the lack of humanity as he laid on the ground bleeding, and medical help to save his life wasn’t sort of a first thing that someone wanted to do, speaks to a way in which black people have to — the things that black people have to contend with every day when we show up to a hospital, when we show up to a courtroom. GWEN IFILL: Let me ask you Vanessa De Luca, so maybe we can end on something of a hopeful note, if there is such a thing, which is, what do we do about this, other than have another national dialogue, another conversation? VANESSA DE LUCA: Well, I mean, I think, certainly, people need to use their vote as their voice, right, that we fought so hard for that. And the idea that there are some camps that are saying that they’re not going to vote at all is just unconscionable. We fought too hard to get this right, and it really does have an impact. I know there is the popular vote vs. the electoral vote, but people actually need to exercise their right to vote and to make sure they are voting for people who are serving their best interests. So, I would say let’s still — let’s not pass that off as something that is just kind of like a throwaway, but let’s really embrace and not fritter away what so many generations fought so hard for us to be able to do. GWEN IFILL: Vanessa De Luca, editor in chief of “Essence” magazine, Andre Perry, a writer from New Orleans, Rashad Robinson of Color of Change, thank you all. VANESSA DE LUCA: Thank you. After Attorney General William Barr told Congress that he believed "spying" occurred on President Donald Trump's 2016 presidential campaign, Trump repeated the unfounded claim and called it "illegal spying." British authorities arrested WikiLeaks founder Julian Assange on Thursday in response to a U.S. extradition request, and a U.S. Reversing an Obama-era policy, President Donald Trump Monday removed restrictions on the kinds of surplus military gear the Defense Department can turn over to local police departments. Every once in a while, one moment makes Washington pause. Partisanship melts away, if only for that brief moment. This week it was a charity baseball game, an annual tradition that pits Republicans and Democrats against each other for a good-natured competition and America’s favorite pastime. The leader of the Justice Department has ordered federal authorities to emphasize building partnerships with local law enforcement over hard-nosed investigations of them. President Trump turned the power of the White House against the news media on Friday, escalating his attacks on journalists as “the enemy of the people” and berating members of his own F.B.I. as “leakers” who he said were putting the nation at risk.